MainAll NewsInside IsraelWill leftist group succeed in boosting Bedouin election turnout? Will leftist group succeed in boosting Bedouin election turnout? Likud files petition to block left-wing group's plans to bus Bedouin Arabs in southern Israel to voting stations to boost turnout. The Likud party filed a petition to the Central Elections Committee against the extreme leftist organization "Zazim" (move) which is providing transportation for Bedouins in the Negev in order to vote for the leftist parties in Israel's elections on Tuesday. The Likud claims that "Zazim," which is supported by the New Israel Fund, is carrying out a forbidden intervention in the elections favoring the "Blue and White" party of [Benny] Gantz and [Yair] Lapid. Arutz Sheva revealed on Saturday night that the leftist NGO "Zazim" is planning on sending 40 minibusses and other vehicles to the Bedouin villages in the Negev in order to bring voters to the polls throughout the election day. "Zazim" launched a mass mobilization campaign to raise funds for the cause. The cost of transportation that will allow between 6,000 and 10,000 Bedouin voters to reach the ballot box is about NIS 60,000. 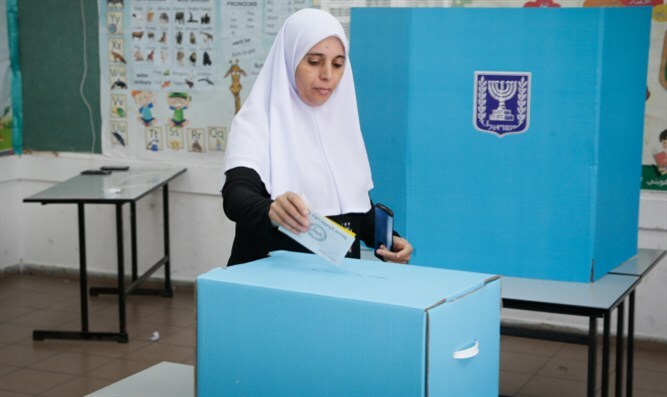 "Zazim" claims that the Bedouin villages in the Negev are home to approximately 50,000 voters who lack a nearby voting station, as well as public transportation or private vehicles to reach a voting station. "Many of the residents want to vote, but they have no way of doing so," the organization claimed in an appeal sent to potential donors. "If enough activists and activists like you enlist, we will be able to finance transportation to the Bedouins' polling stations in the Negev and build a bloc against incitement ... securing votes of hope and solidarity in the face of incitement and racism."